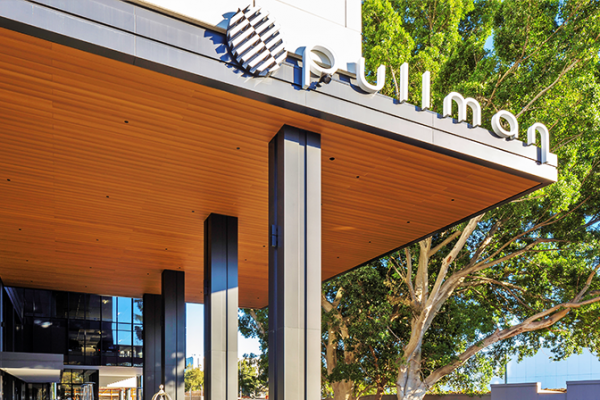 The architects and designers at Mezzo apartments wanted an iconic design that gave a new voice to its multi-faceted gateway site. This is one of many reasons why InnoClad and InnoCeil were the ideal cladding and ceiling systems for their requirements. 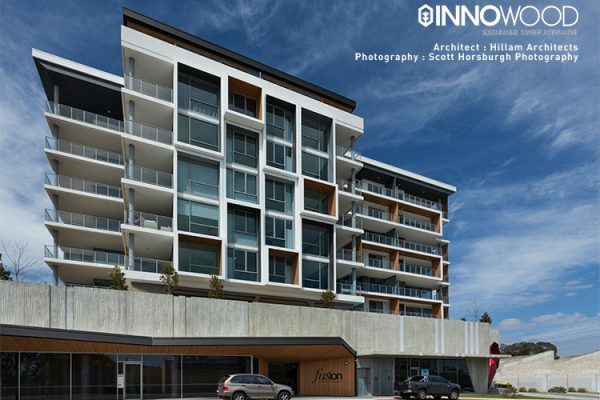 The natural wood look and finish of the Innowood products has given the architects the ability to incorporate warmth, sophistication, flair and creativity to the building’s structure. 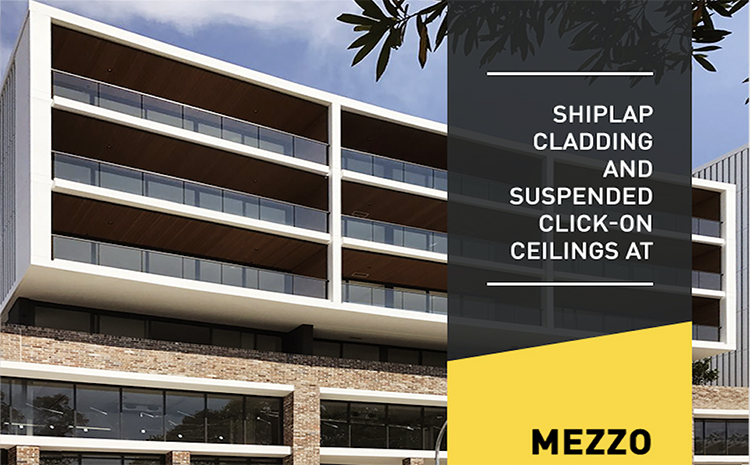 The V-Joint Shiplap system installed in the external balconies is a great example for this, along with the suspended click-on ceilings showcased in the lobbies. In addition, Innowood products are able to perform in Group 1 requirements or up to BAL-29 bushfire requirements upon request.  The characteristics and features that Innowood comes from can be considered the closest composite to natural timber and more. Can be integrated into any internal & • external cladding designs. Orientating either vertically or horizontally-clean finish with consistently spaced shadow / join lines. 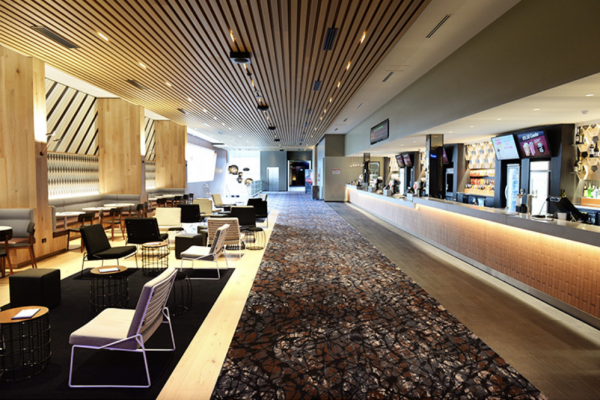 Comes in varying widths fixing methods – flexible to match the design specification. Provides highly desirable warmth and character that comes from the closest composite to natural timber. High acoustic performance rating to provide the ultimate sound quality and external noise reduction capabilities. Clean. smooth and superior finish.